I'm super excited to announce this new giveaway, because this time a partnered up with one of my most favourite stores- LUISAVIAROMA and one of you can win this beautiful bag from MICHAEL Michael Kors! The giveaway is opened worldwide and it ends on the 22nd of April! I would be so happy if i would win the bag! hi i share your love to michael kors bags! Woww noro! Res si zelim tole torbo in drzim pesti, da jo dobim hehe. Tvoj blog spremljam ze nekaj casa na vseh moznih socialnih omrezljih (instagram, facebook, twitter, bloglovin, GFC). amazing giveaway :) love your blog! Done!! 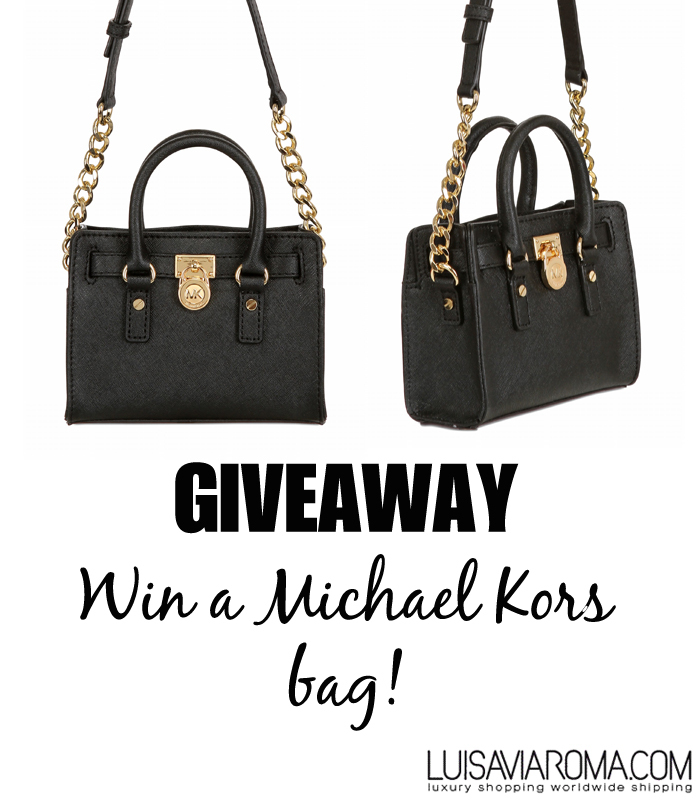 OMG This is such a dream handbag...and such exciting giveaway. Really wish I could win this! love the blog and the bag! super giveaway! torbica je zlo lusna. vse polajkano, tako da lahko zdaj samo držim pestke! wow.. Mk bags are a dream!!! You have a hip blog! For me as a hobby fashion collector, ru have one of the best from SLO. The bag is stunning btw, hope I won, this would be a great present for my moms 50yrs in May. I subsribed with two of my emails and liked your facebook page with both my blog- and personal facebook. ful dobra torbica! Love it! omg such a beautiful bag!!! Like pa subscribe pa tut done and done! OMG! What an amazing giveaway. Love that bag! I'm following already. What an amazing bag!! I love to enter! Ulala, supr blog, super giveaway. Jojjjj kak je lepa... ti si pa tudi super. Damn amazing giveaway! fingers crossed! Thanks for your comment ! You have a such great blog ! Thank you for this giveaway ! I like your facebook page as Meryl.B ! Oh my God, such a wonderful giveaway! such a great giwaway and bag.